KUALA LUMPUR (Nov 24): Boutique property developer Chin Hin Property Development Sdn Bhd is developing a project named 8th & Stellar in Bandar Baru Sri Petaling, Kuala Lumpur. With an estimated GDV of some RM450 million, the 2.2-acre leasehold mixed development consists of two towers housing 138 Small-office Home office (SoHo) units, 522 serviced residences, six shoplots and 120,000 sq ft of office space. It plans to hold a preview of the mixed development on Dec 3. 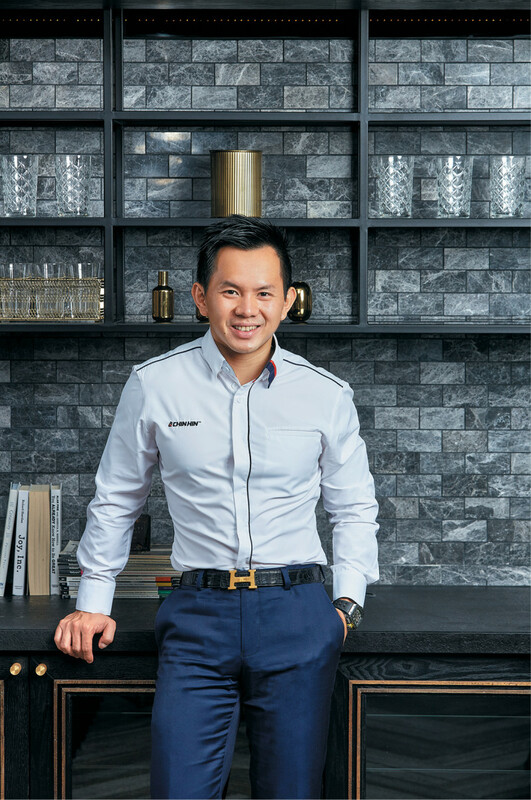 Chin Hin Property Development director Chiau Haw Choon told EdgeProp.my that the developer will be moving its current headquarters in Jalan Kuchai Lama to the office space at 8th & Stellar. The company will be hosting a private preview for 8th & Stellar on Dec 3. The project is expected to be launched in the second quarter of 2018 and targeted to be completed in 2022. “The low-density project is located in the vibrant Bandar Baru Sri Petaling where residents are able to enjoy a convenient yet exclusive lifestyle. “Sri Petaling is a very mature and highly populated township with 40 years of history. A lot of families have been staying there for generations and the younger generation prefers to stay not too far away from the area, so I think [the project will do well],” Haw Choon said. 8th & Stellar offers easy access via major highways, namely the Shah Alam Expressway, New Pantai Expressway, KL-Seremban Highway, Middle Ring Road 2 and Maju Expressway. “Moreover, the project is within walking distance from the upcoming Taman Naga Emas MRT (Mass Rapid Transit) Station, which is one of its main selling points,” he noted. The Taman Naga Emas MRT Station is one of the 37 stations in the 52km Sungai Buloh-Serdang-Putrajaya Line. It is expected to become operational by 2022. With an indicative average price of RM650 psf, the SoHos have built-ups from 460 sq ft while the serviced residences have built-ups from 759 to 1,232 sq ft. The developer is aiming for a 50% take-up rate for the residential units by end-2018 while the six shoplots might be kept for lease. “We want to focus on quality products with affordable pricing in the right location. This means somewhere in a mature township accessible to amenities such as public transport and highways. With that focus, I think we don’t have much to worry about,” Haw Choon said. 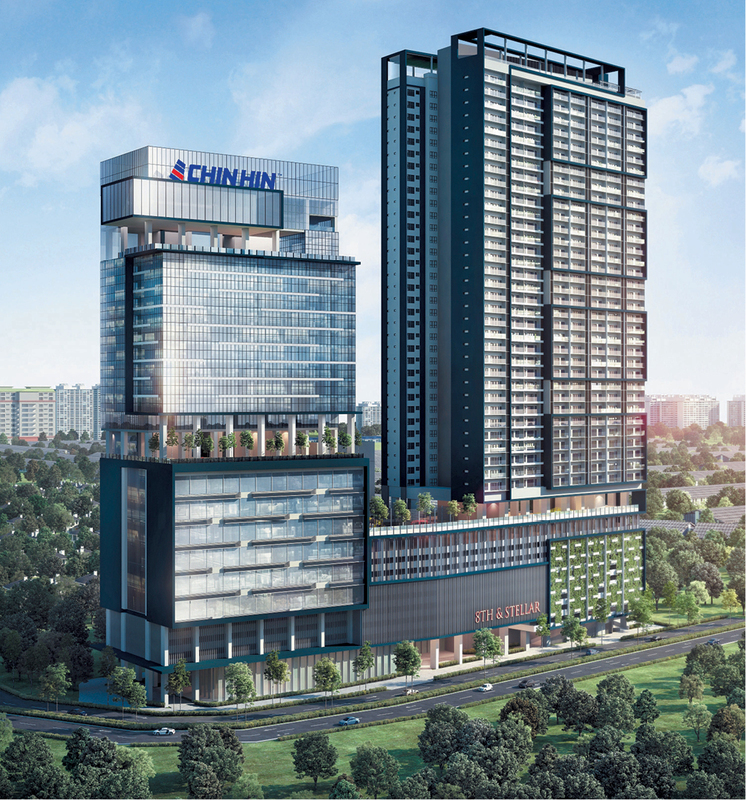 Chin Hin Property Development has completed projects like Gembira Residen at Kuchai Lama, KB Square @ Kota Bharu Waterfront and Tech Avenue Industrial Park at Bukit Jelutong, Shah Alam. It currently has two ongoing projects in the Klang Valley, namely Novum @ Bangsar South, KL and Aera Residences in PJS5, Petaling Jaya. According to managing director Yeo Chun Sing, the company currently has a landbank of more than 20 acres in prime areas in the Klang Valley, Johor and Kota Bharu, with an estimated total GDV of RM1.8 billion to RM2 billion. These reserves are expected to keep the company busy for the next 15 to 18 years. Chin Hin Property Development is a private entity owned by the Chiau family — Haw Choon and his father Datuk Seri Chiau Beng Teik, who is also the founder and deputy executive chairman of Bursa Malaysia-listed Chin Hin Group Bhd, a building materials manufacturer. Haw Choon is currently the group managing director of Chin Hin Group. “What makes us different from other developers is our over-40 years in building materials manufacturing, which helps us ensure that the materials we are using for our property developments are top-notch and durable. “On top of that, we also ensure that the layout of our products is efficient and practical with our engineering background,” said Haw Choon. Meanwhile, Yeo said the company’s two ongoing projects, Novum @ Bangsar South and Aera Residences, have achieved a take-up rate of 95% and 70%, respectively. Novum @ Bangsar South, a joint-venture project with Eupe Corp Bhd, is a condominium comprising three towers on a 3-acre freehold site. With a GDV of RM555 million, the project consists of 729 units with prices from RM720,000 to RM1.73 million or an average price psf of RM900. Unit built-up sizes range from 647 to 1,441 sq ft.
Aera Residences, on the other hand, is a RM300 million serviced apartment project of 752 units with sizes ranging from 718 to 1,010 sq ft. Prices range from RM370,000 to RM600,000, or an average price of RM500 psf. This story first appeared in EdgeProp.my pullout on Nov 24, 2017. Download EdgeProp.my pullout here for free.